Have you ever considered your home could be hiding valuable space? Are you trying to add square footage to your home? Renovate your attic. The attic is one of the rooms sellers ignore but one with a high return on investment (ROI). Buyers are always looking for extra space and renovating or cleaning up your attic is a great idea. It increases the square footage of your home without taking up additional space. It also gives you an edge over other sellers with dusty attics. Research shows that sellers who turn their attics into bedrooms or home offices get a return of about 84% when they sell. If you would love to refurbish your attic but are short of ideas, look to these home organization tips. Before you convert your attic into a usable space, make sure that the project is feasible. You can hire a contractor to inspect the room. He will tell you what you must do to meet the building codes in your area. He will also tell you whether the ceiling is high enough for the room to be usable what is feasible to create the space you envision. The cost you put into remodeling and seeking information from a contractor in advance could bring large rewards in the asking price of your home in the near future. Buyers love storage so try and provide as many options as you can. Don't let your sloped attic ceiling be a deterrent. You can install shelves, built-in cabinetry, and drawer systems. Don’t just lay boxes on top of each other! Instead get creative with custom built-ins or use furniture that has plenty of drawers and compartments for storage. Many potential homebuyers don’t know what to do with an attic. Staging it into a home office with a desk and built-in shelves for books and belongings or staging it with a bed and dresser can help them envision the space. Consider turning it into a playroom for kids, family homebuyers will love it. Most attics have very little natural lighting so good artificial lighting is important. Before you buy lighting fixtures, find out the best way to illuminate the space. This will depend on how you intend to use it. For example, an attic bedroom needs less light than one that doubles as a home office. The ceiling is also an important factor to consider. If the room has a slanting ceiling and is devoid of partitions, install pendant lights. Choose lights that coordinate with the size of the room to provide ample lighting. You can also hire an electrician to help you install recessed lighting, a ceiling fan or other lighting fixtures that will open up your dark attic. A well-insulated attic can keep the cold out in winter and the heat out in summer. A great winter renovation project is adding insulation to your attic space. Since the attic is located just under the roof of your home, it is bound to lose cool air and heat faster than any other room. Insulate the ceiling and walls and ask an expert if you are unsure about the type of insulation to use. Spray foam roof insulation instead of fiberglass insulation can be more expensive but is most ideal for the room. The insulation forms a firmer air barrier and only a small amount is required which could result in more overhead space. Install thick carpeting with a foam pad. Before installing the carpet, you can add a layer of subfloor to provide extra stiffness. Install unfaced fiberglass insulation amid floor joists before installing a subfloor. The insulation will also prevent unwanted heat transfer. Install noise-blocking vinyl, cellulose, or recycled rubber under the flooring. 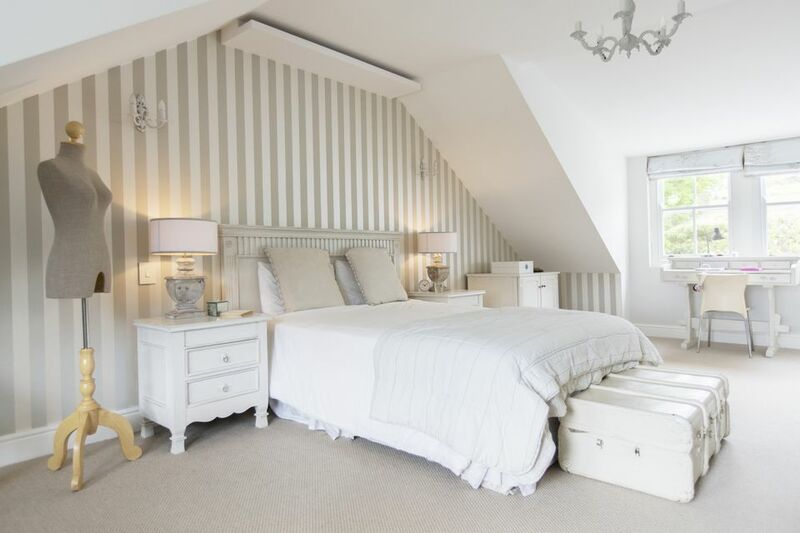 Converting your attic into a room can be a costly undertaking but you can do the job gradually to keep the cost down. Instead of using the space for storage, turn it into a room buyers will love with these helpful tips. While it might have a slanting ceiling and little natural light, these features can make it the coziest room in your home. Homebuyers will love the “bonus room” and you will love raising your asking price because of the increased square footage you added to your home. Need more home staging tricks? Try these essential tips.